If you weren’t anticipating Masofa Panze 3 (Blacperl’s debut album) you will be now. 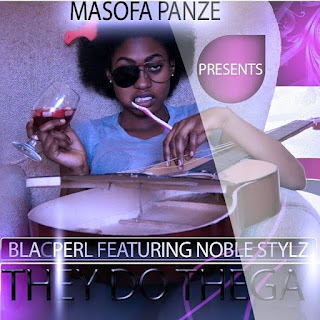 The Masofa Panze queen has (finally) dropped her first track, with the help of Masofa Panze originator Noble Stylz. Noble’s frequent collaborator and homeboy DJ Krimz Beatz is on deck for this one. I'm loving this track, as a debut single and as a single in it's own right. You can catch glimpses of Noble Stylz and Trae Yung in Blacperl's verse (a sub-conscious influence, I guess). Releases from femcees had died down and if you had lost hope in them, here's a reason yekubeliever. This is going to stay on my playlist for a while...... Hopefully on the next single the Masofa Panze Queen will do a solo to show that she can still hold it down on her own. This certainly got my attention.